The NSA is currently intercepting millions of private images every single day for its massive facial-recognition project. Data intercepted by NSA are numerous as your text messages spying, your social media posts, your emails, even your Facetime and other webcam video conferencing sessions. All these are being done for multifarious reasons and not just to scoop off pictures containing your face and others’. The NSA spying agents are not just in your inbox, they are not called “Big Brother” for no reason. They have prying eyes in the sky. Recently it has been recounted that a number of insanely high-powered planes mounting as surveillance cameras on the sky have spied on people in Baltimore and Philadelphia, and who knows where else they are spying. Citizens in Compton, California where secretly surveilled by a drone. When the PRISM story was made public, the debate about internet privacy resurfaced, this is just to let us know that the government is watching our online communication. This is a violation of the 4th amendment with little or no regards. Considering this, it has now become the sole duty of an individual internet user to watch his/her back. 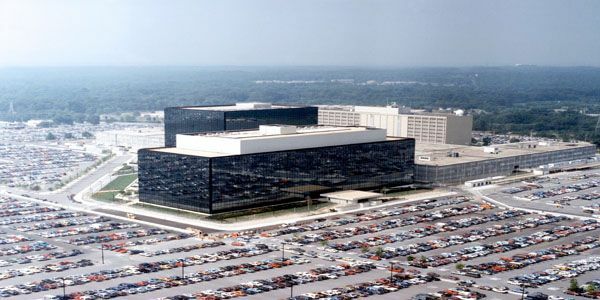 Although escaping internet surveillance undertaken by NSA and others is very hard, they are methods that we can use to achieve some degree of privacy. Below, we are going to look at the top methods that can keep you off from the NSA all seeing eye. Google, Yahoo or Bing are used by many people and we all know these search engines belong to the Prism Mix. In order to escape NSA, the first thing you have to do is avoid making use of the big search engines. Use search engines that do not collect user data such as DuckDuckGo and Startpage. If staying off the big search engines is very difficult for you, then avoid searching while you are logged in, although your searches can still be traced back to you through cookies. Some hackers will recommend deleting your Facebook account, but to be honest with ourselves, we all love our Facebook and deleting it is not an option. There is no better platform that allows us to stay connected with our friends better than Facebook. But Facebook has been rumored to supplying information to PRISM (or at least being pressurized to do so), in addition, they allow third party marketing companies to access your user preferences. And of course governments and hackers can hack Facebook, too. To tweak your Facebook for maximum security, start by using fake names or nicknames in your details. You can also make use of Facebook extensions such as Facebook Disconnect that prevents your Facebook information from going into the servers of third parties. A browser cookie blocker such as Ghostery is very handy. There are two options available to efficiently raise your email privacy. The first option is to keep off from the mainstream email services such as Gmail and Yahoo mail. Trying registering with an email service that has a lesser known provider reputation such as Riseup and Rediff. The second option is to encrypt your email messages. In such situation, the receiver of your email will need to have a software for decrypting what you have sent. Good Privacy and GNU Privacy Guard are some of the popular email encryption tools you can use to secure your emails. Changing your IP address is one aspect of your whole internet experience you need to take care of – if you value your privacy. To change your IP address, you can make use of services such as TOR (The Onion Router) and VPN to name some trusted IP changing tools. Taking one as an example, TOR proxy randomly positions your IP in many places around the world at once, anyone tracing you will discover that you are located in many places at the same time which don’t make sense. Note that there are some inconveniences involved when trying to escape the NSA all seeing eye. If your privacy is very important, then the advantages of following these methods should outweigh them.